Southland’s expert staff ensures that you’ll receive the utmost in customer service and satisfaction when you bring your golf cart to us for repair. Our technicians can change out parts, install accessories or perform repairs on all makes and models, and our work is guaranteed. We also offer prompt and safe pick-up and delivery service. 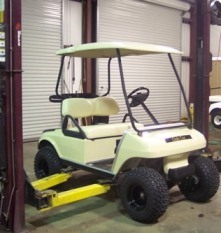 Keeping your golf cart in tip-top shape is our business.